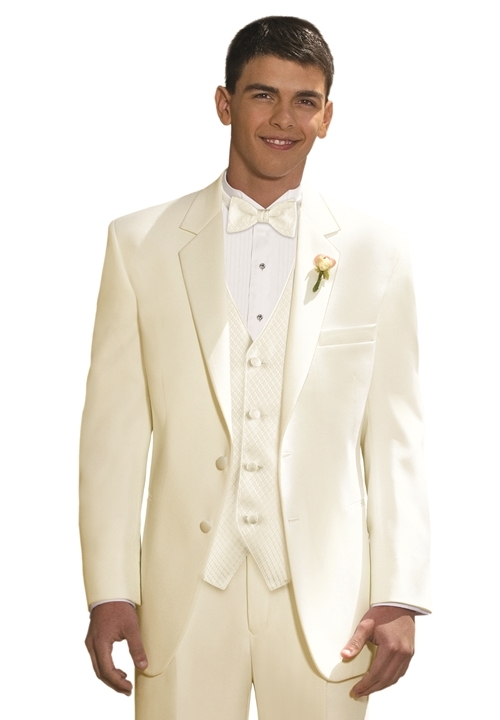 The Ivory 'Troy' After Six tuxedo coat is a wonderful formal option for daytime functions and warm weather climates. Featuring a 2 button, single-breasted front, satin notch lapel, satin besom pockets, and fashioned from White Polyester. This classic tuxedo coat is considered tropical formal wear, and is perfect for your Prom, Destination Wedding, Cruise, or any other Formal Event!